AVIV Centers for Living The Jewish Rehabilitation Center | SIGNET Electronic Systems, Inc. The project included the design and construction of a $35 million dollar, state of the art, 4-story, 124,000 sq. ft. continuum of care facility in Peabody, MA. 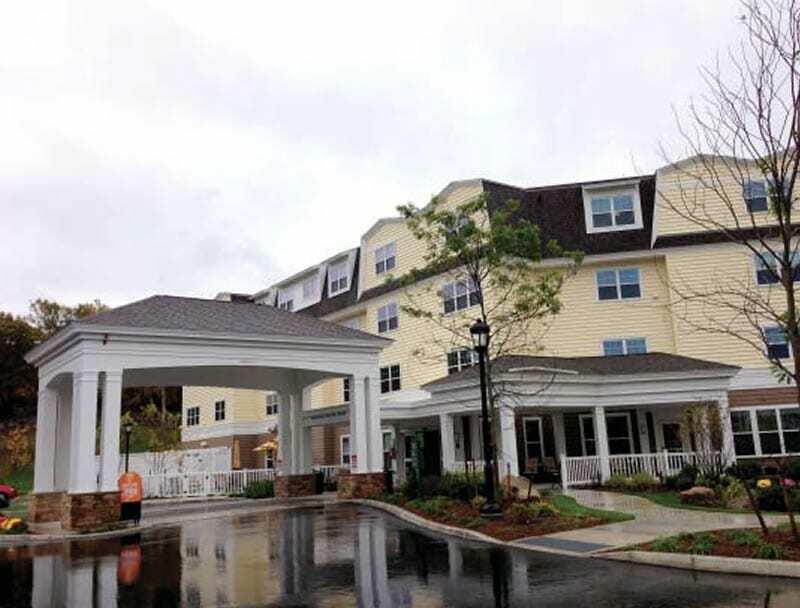 The project featured 144 skilled nursing beds, assisted living, adult day care, geriatric care management, and child care center. Low voltage electronic systems were initially designed by an electrical consulting engineer. After not meeting expectations, the Jewish Rehab Center elected to move forward without the assistance of a consulting engineer. They required a true expert in all of the low-voltage disciplines that could not only assist with a redesign, but also properly coordinate the installation with the general contractor, electrical contractor and other various trades. Owner and management teams demanded only the most technologically advanced building that off ered every possible accommodation for the residents, and staff. SIGNET’s sales and engineering team, through their respective disciplines, demonstrated integrated solutions, and negotiated a cost-effective, turnkey and complete systems off ering directly with facility ownership. Upon contract execution, SIGNET immediately began coordination eff orts, starting with the creation of completely new set of low voltage plans. Leading up to installation, additional close construction coordination was executed with the general contractor, architect, and owner by SIGNET’s project management team. “Every one of the SIGNET staff with whom we had the pleasure to work with was exceptional.” – Jim Koningisor – Owner’s rep.
“SIGNET has been great to work with. Also, I cannot remember a job where the low voltage subcontractor has been a non-factor in getting things done (that’s a real good thing). When areas have become available they have done their job, they have always completed their work on schedule, coordinating and cooperating with all other MEP subs as needed, knowing the ceiling space has certainly been limited.” – Tom Haubrich, Project Manager, PRO CON, Inc. – General Contractor. In conclusion, SIGNET’s multitude of off erings brings a unique, well coordinated, single source and cost-eff ective solution to large capital health care projects. Leveraging the SIGNET “Power of One” for your project lowers costs, streamlines coordination, and produces a powerful integrated fi nal result.